Coast Life Midwifery are absolutely delighted to welcome Allison Stephens to our midwifery team. Allison is an experienced midwife and lactation consultant with a wealth of skills and midwifery knowledge. 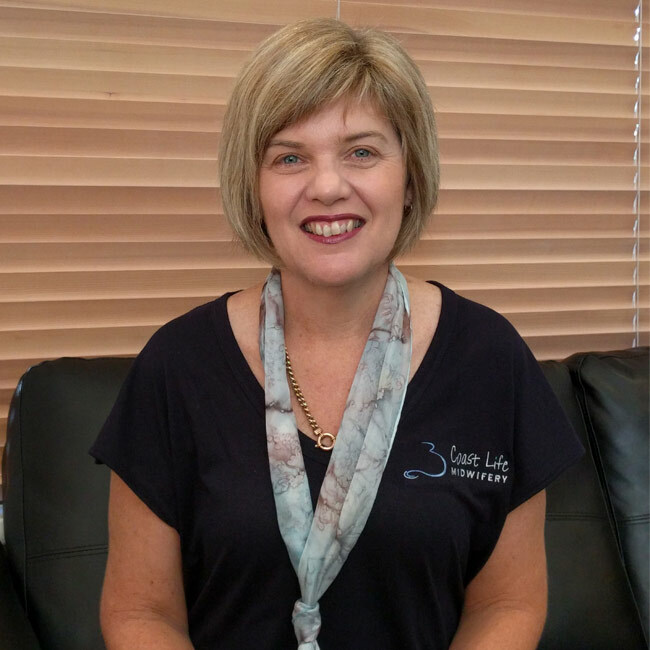 Allison is available now for Continuity of Midwifery care, Midwifery Group Practice and Lactation Consultancy appointments at our Nambour practice and at Fresh Holistic Health. I am extremely excited to join the Coastlife Midwifery team. I have been a midwife for over 25 years and most of that time I have spent working at the Bundaberg Maternity Unit. I have relocated to the Sunshine Coast to be able to work in a continuity model of care and to be able to support and empower women and families through their journey of pregnancy, birth and transition into parenthood. I have a supportive husband and three grown boys who all live independently and who all know a lot of midwifery and breastfeeding talk. I have felt privileged to be able to work with women and families over the last 25 years and to observe the growth and development of the many wonderful families I have encountered in this time. I have been qualified as lactation consultant since year 2000 and have worked in various settings since I gained the qualification. Initially I worked privately as a lactation consultant and then established a clinic at the maternity unit. I have supported many women with feeding their babies and am in constant awe of the strength women have to succeed. I am looking forward to meeting new families from the Sunshine Coast and to support you in your journey through pregnancy and beyond.